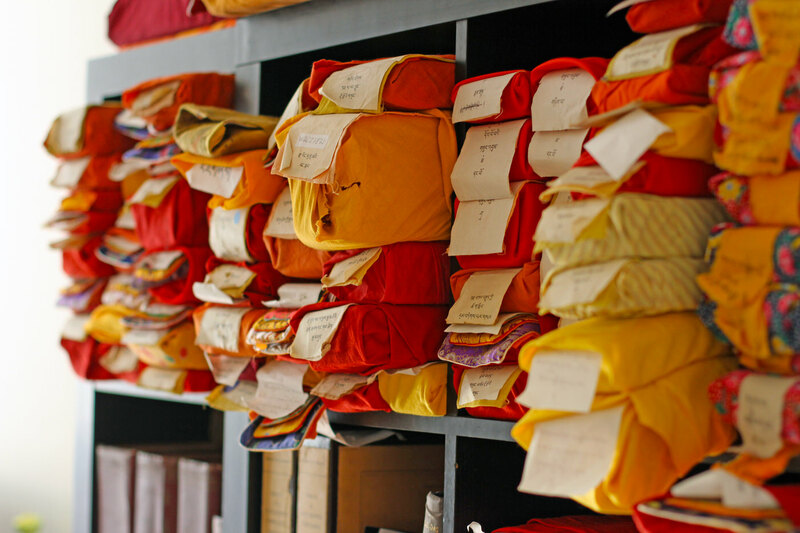 Located in Harvard Square, the Tibetan Buddhist Resource Center hosts shelves of traditional Tibetan volumes, which the organization scans, catalogues, and returns to their owners. TBRC's digital collection include approximately 20,000 volumes of Tibetan literature dating from the eighth to the twentieth centuries. This scan captures a woodblock print of the Tibetan Buddhist canon. 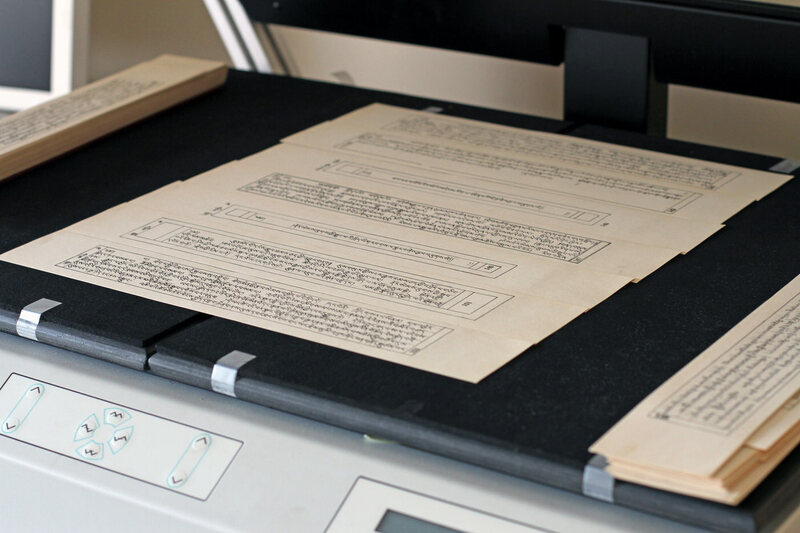 TBRC has scanned approximately 10 million pages of Tibetan literary texts. The scans, which are available on the TBRC database, are about to be stored in Harvard Library's Digital Repository Services. TBRC founder Gene Smith, who died in 2010, requested that his private collection of Tibetan texts be returned to the Tibetan people. 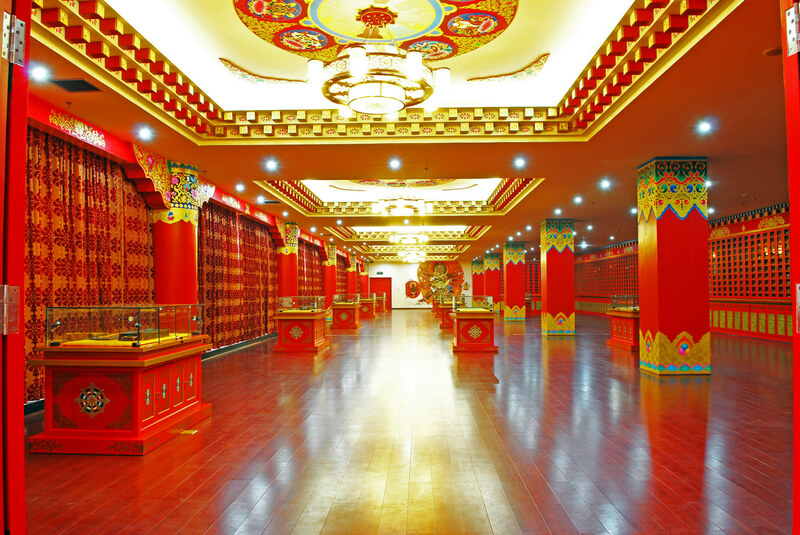 A library bearing Smith's name opened last fall at the Southwest University of Nationalities in Chengdu, China, an area with a significant Tibetan population. Beginning in July, Harvard Library will upload onto its digital storage system 10 million pages of Tibetan literature that survived China’s convulsive Cultural Revolution, the movement between 1966 and 1976 that led to the destruction of countless Chinese and Tibetan literary texts. 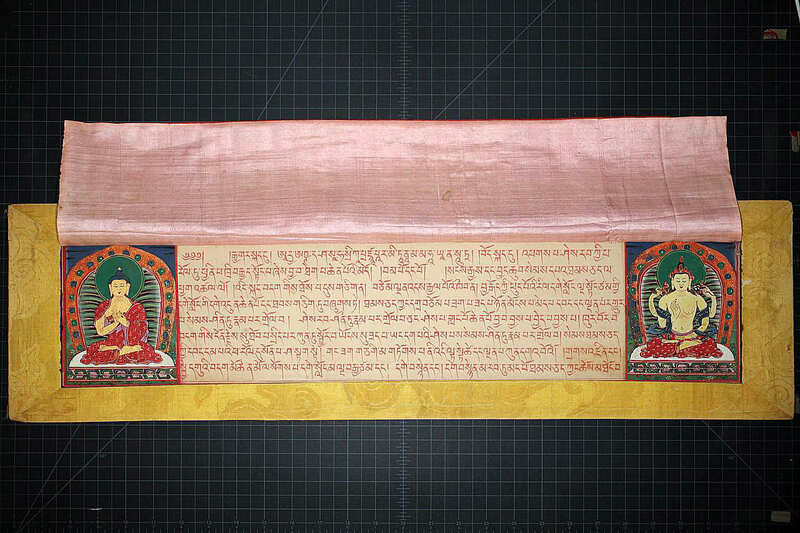 The project is the result of a partnership between Harvard Library and the Tibetan Buddhist Resource Center (TBRC), a nonprofit organization based in Harvard Square that has been acquiring, scanning, and digitally preserving Tibetan volumes since its founding in 1999. TBRC has played a central role in assuring the preservation of the surviving works. The center developed from the vision of Gene Smith, a librarian and Tibetologist who started his private collection of Tibetan books while serving at the New Delhi field office of the Library of Congress between 1968 and 1985. According to TBRC executive director Jeffrey Wallman, Smith estimated that 800,000 volumes had been produced on the Tibetan plateau before the onset of the Cultural Revolution—but that only 100,000 survived. With van der Kuijp’s help, Smith established TBRC at the turn of the millennium in order to catalog, preserve, and make available the Tibetan literary heritage. Initially headquartered in Harvard Square, TBRC was relocated to New York City in 2002, where it remained for 10 years before moving back to Cambridge. Hazen defined the collaboration with TBRC as one of Harvard Library’s “hallmark projects” since its recent administrative and organizational restructuring. Lesage described the long-term preservation of the Tibetan literature as a service not only to the scholarly community but also to humanity as a whole. As Wallman explained, the center has so far acquired approximately 20,000 volumes dating from the eighth century to the twentieth, covering subjects ranging from Buddhist teachings and theories to philosophy, history, poetry, architecture, and medicine. Despite all the political tensions that have arisen concerning China’s governance of the Tibetan region and people, TBRC experts explained, the climate in China is now particularly favorable to the preservation of the Tibetan literary heritage. The government has recently passed a law protecting the Tibetan language, said Greg Beier, the center’s director of sustainability. “This is an ideal time for really getting involved with looking for the texts and making them available to the world,” he noted, adding that the Tibetan literary heritage is “a jewel of humanity.” Beier explained that, as a non-political, non-sectarian organization, the center has never run into any problems with the Chinese government. The preservation of the Tibetan literary heritage is not the only project on which TBRC and the University have collaborated. Peter Suber, director of the Harvard Open Access Project and of the Office for Scholarly Communication, has advised the center on providing open access to its database. Wallman explained that the texts that TBRC has acquired, scanned, and catalogued in the past are currently available for free to individual users, but universities and other institutions must subscribe in order to access the digital collections.